Tune into Bloomberg International for sponsored programming on Saturday, June 24, 2017 and Saturday, July 16, 2017 and Fox Business Network on Sunday, June 25, 2017. See market-by-market listings below. 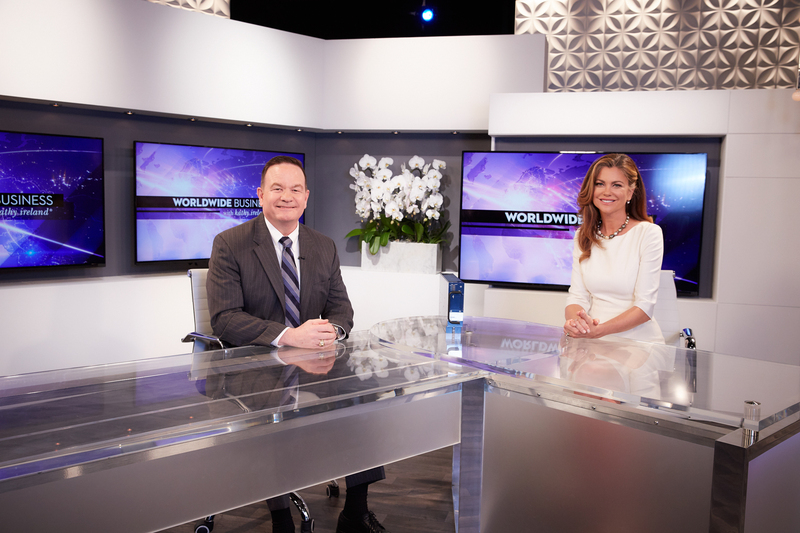 CALGARY, AB--(Marketwired - June 22, 2017) - FLYHT Aerospace Solutions Ltd. (TSX VENTURE: FLY) (OTCQX: FLYLF) (the "Company" or "FLYHT") is pleased to announce an exclusive interview with Worldwide Business with kathy ireland®. The interview will air on international news channels this weekend and is featured on the FLYHT website. The interview features FLYHT's CEO, Tom Schmutz about the Company's real-time data streaming solutions that contribute to over 70 airlines' operations and are positioned to have a massive impact on the aviation industry. FLYHT's unique ability to capture, process and transmit data -- coupled with real-time alerts -- provides airlines with direct insight into the operational status and health of their aircraft and enables them to take corrective action in order to maintain the highest standard of operational control. "With so many people choosing to fly every single day, the safety of everyone on board each aircraft is crucial," commented JL Haber, Vice President of Programming for Worldwide Business with kathy ireland®. "What FLYHT Aerospace Solutions has done for the aviation industry is amazing, to say the least. Their groundbreaking, innovative technology has had a dramatic impact on aircraft operators and will continue to make flying safer for those who love to travel. We are proud to have FLYHT Aerospace Solutions on our show." "Most airline passengers are surprised to find out that most of the tracking and communication technologies that are on board today's aircraft are 1980's and 1990's technology," remarks Tom Schmutz on FLYHT's revolutionary technology that can help alert the airline of any safety issues during flight and help prevent accidents. "Ultimately, what we find is that there are gaps in communication coverage around the world. Aircraft can be lost. This is unacceptable. At FLYHT, we have the technology to eliminate those kinds of problems. Our leading technology enhances the efficiency and safety of aircraft. It saves aircraft operators money, it helps streamline their operations and it proactively enhances safety, preventing accidents and saving lives." Liat 1974 Ltd. is one of the airlines operating in the Caribbean using FLYHT's technology. "AFIRS helped us tremendously when we had an over torque situation in St. Lucia," remarked Alan Alexander, Director of Flight Operations. "We were able to recover the data from the airplane using the AFIRS quick access recorder. With AFIRS data, we were able to get the aircraft back into service within 24 to 36 hours. Using the old method, it would've taken us somewhere around seven days to return that airplane to service."